Language services providers spend valuable time using CAT analyses to determine project prices with different weighting factors. LSP.net now provides a free online tool that makes price determination much easier. 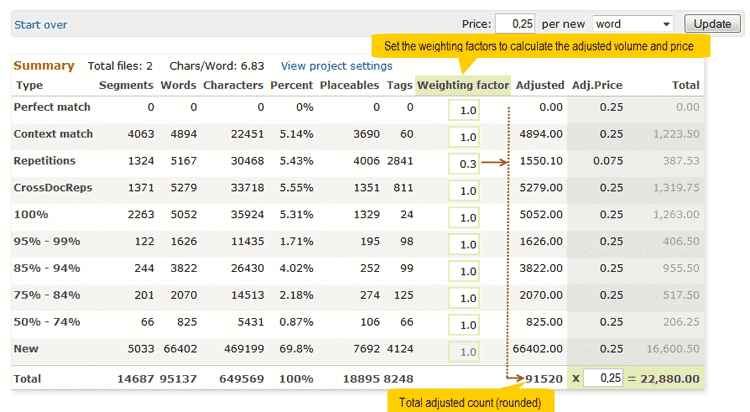 Users upload the analysis file in their browser and enter the price per word. The tool immediately determines the total price for the translation project, in addition to the price per file as required. When weighting factors are entered, the tool displays the weighted prices. 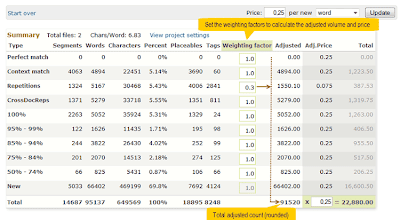 The price per word and weighting factors can be adjusted to reflect changes. Automatic conversion into standard lines is also an option for the German-speaking region. Users can save their personal settings for future visits to the website in a browser cookie. They can easily print their weighting tool results. Data privacy protection: LSP.net does not save user data or files. The analysis files are deleted as soon as the the LSP.net server has read the data.